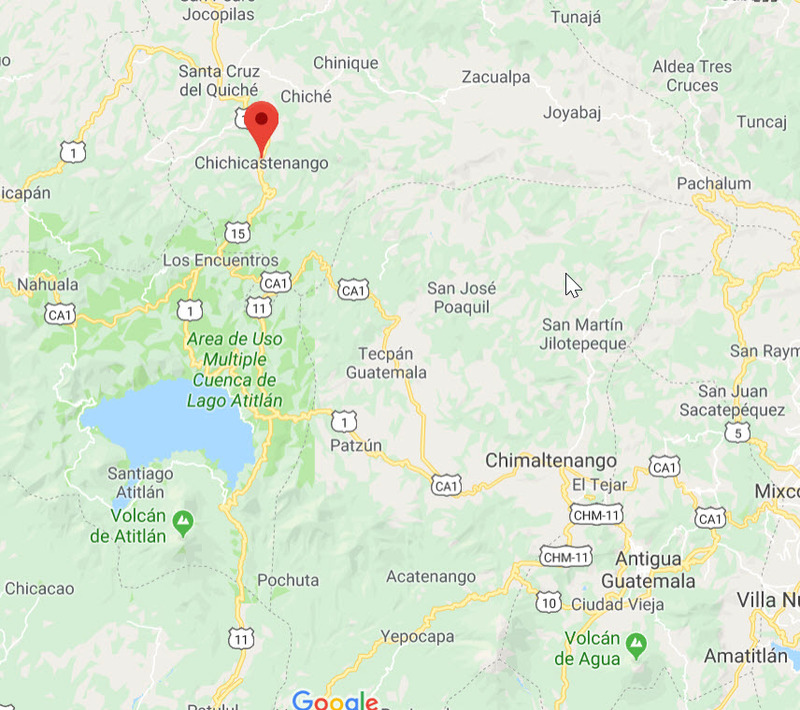 Last Sunday our group took a bus tour to Chichicastenango, a market town in the highlands of Guatemala, about two hours from Antigua, over steep mountains. Our guides took us there because it has one of the most famous markets. The market itself is in the courtyard of a two-story building. We went upstairs and looked down on it. Dozens of vendors were selling their vegetables. What you can’t see in this picture is the strong aroma of the amalgam of all types of vegetables, fresh out of the earth. I have never before smelled vegetables that strong. To get to the market, we had to walk down crowded alleyways which were packed with vendors on both sides. The paths themselves were also patrolled by vendors, women and children mostly, trying to sell us trinkets of all manner. It was frighteningly crowded. Sure enough, within just minutes one man in our group had his wallet and smartphone stolen. Somebody had bumped into him from the front, while presumably someone else picked the pocket in the right leg of his cargo shorts. I walked with my wallet in my hand and my hand in my pocket, and my other hand on my phone all the way. I got through unscathed. 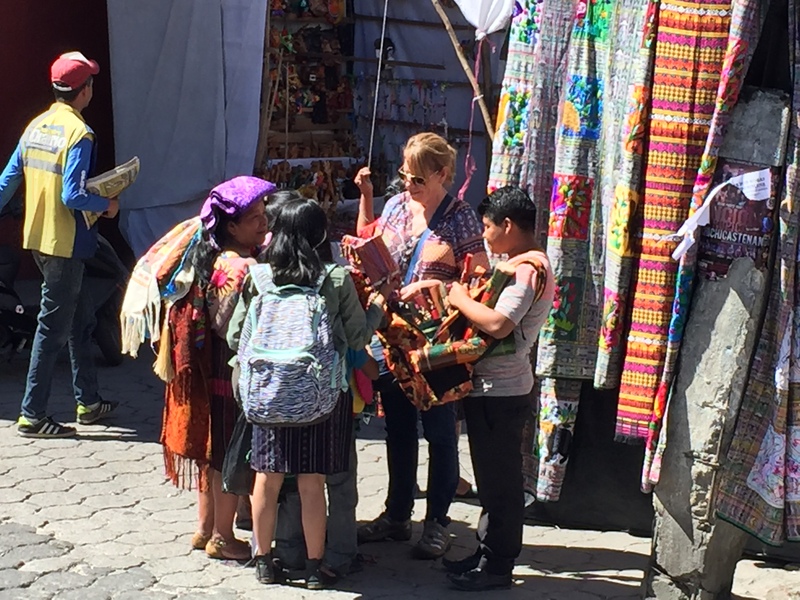 As we walked, women and children constantly solicited us to buy their wares. One boy, I estimate him about 12 years old, was Jeremy. Here you can see Trisha surrounded by vendors. Jeremy is the boy on the right. The vendors latched on to us and followed us. Jeremy would simply not leave. He was very polite, spoke surprisingly good English, gave his name, told us about his family. We bought a blanket from his mother. He would just follow us and keep us engaged for at least 20 minutes all they way back to the gate of the town’s best hotel, which was our meeting place. Vendors cannot enter the hotel. Armed guards keep them out. It was almost like a sanctuary that kept the locals out. And there stood Jeremy, as we walked away from him and the other children and women, looking at us with his smiling eyes and wishing us a good day. I turned around and bought a bamboo drum for 50 Quetzales, as a mercy purchase. Jeremy had obviously learned that as long as he simply persisted, he would eventually make the sale. I didn’t ask him how long he had been working the market, but there were little boys and girls who looked no older than six or seven who were out there hustling and hawking their trinkets. 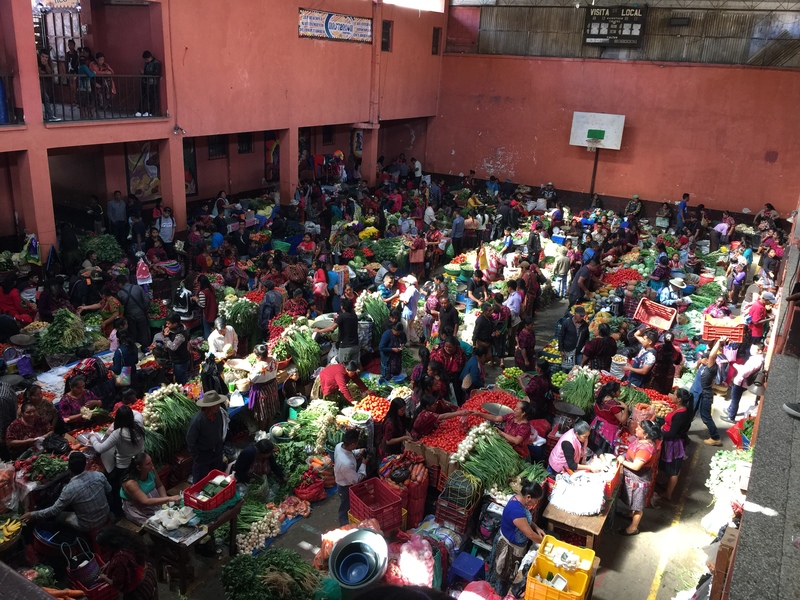 The poverty in Guatemala is striking. People everywhere are working hard, trying to make a living somehow, and it just seems that the system is holding them down. The average wage in Guatemala is about eight Quetzales an hour, that’s about $1.25 or perhaps one Euro. I wonder what they are thinking when they serve tourists like us in luxury hotels. A beer costs 24 Quetzales in any bar or restaurant, or about 3 to 4 hours of work for the average person. A meal for two will easily run 500 or more Quetzales. That would be almost two weeks of work. A night in a good hotel will be 800 to 1500 Quetzales. That’s one month of wages. What do these people who serve us think about us? In a single week in their country, between meals, hotels, fares, entry fees for various events and places, each of us might spend two years’ worth of wages of an average person. Is it any wonder that boys like Jeremy, once they are 16 years old and independent, get on a bus and head “al norte” to make a better living for themselves? I cannot blame them. These people are made of passion and diligence and an indomitable spirit. It’s as if they came straight from Mother Earth. Governments can provide the means for greater equality, surely (just look at the difference economically between Blue and Red states). But the will to do it? Base human nature fights to keep what one already has, afraid to share, in their minds, a finite amount.